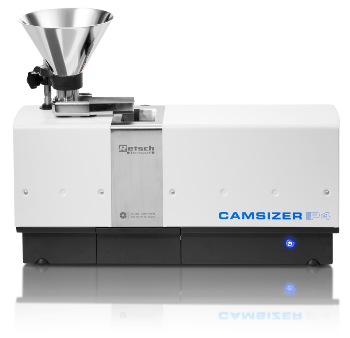 The CAMSIZER P4 particle analyzer has been manufactured in order to comprehensively characterize free flowing, dry bulk materials. 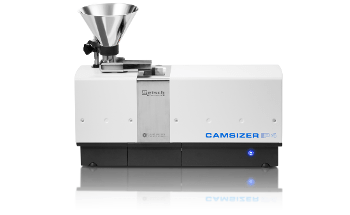 While standard sieve analysis, for instance, can only determine the approximate particle size, the CAMSIZER P4 is capable of simultaneously measuring both particle shape and size – at a higher resolution and with much more detail. The particle analyzer enables saving both time and cost whenever non-stop quality control of the production process is needed. It is also ideal for checking outgoing and incoming goods and generally suitable for measurements of a variety of sample materials. 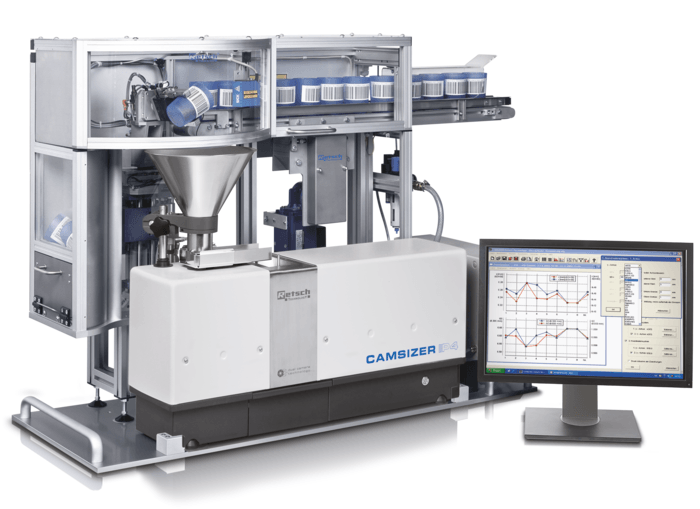 Smooth changeover from sieve analysis to CAMSIZER® P4 is effortlessly possible with algorithms for emulating sieve analysis. 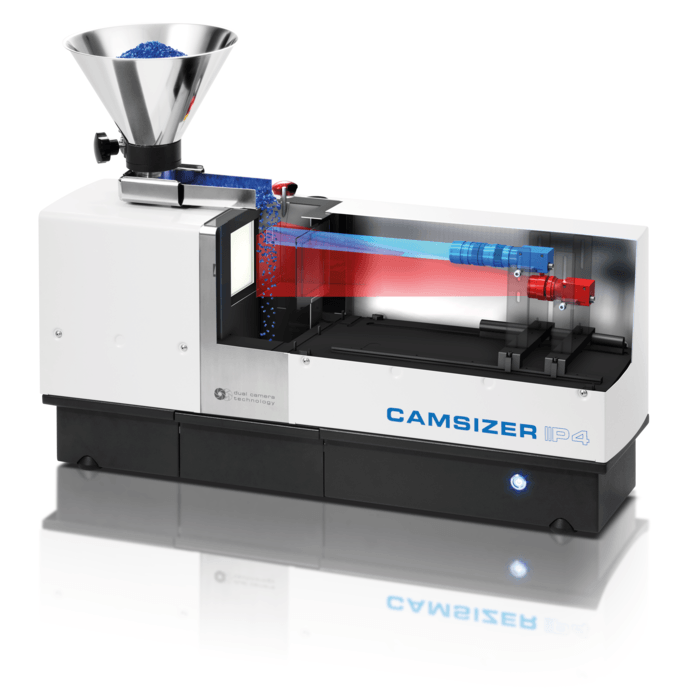 The CAMSIZER P4 consistently analyzes all shape and size parameters for a wide range of bulk materials and granulates including irregularly shaped and spherical grains and crystals, spray-dried and fluid bed granular materials, extrudates and pellets. 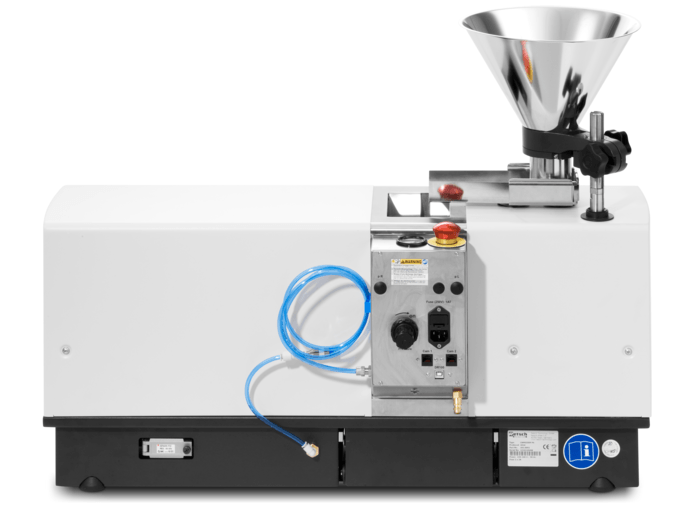 The particle analyzer is also perfect for operation under challenging industrial conditions because of its robust construction and a measuring technique that is not sensitive to disturbances. In combination with the optional AutoSampler, it is possible to increase efficiency by high sample throughput due to the automated sample measurement. 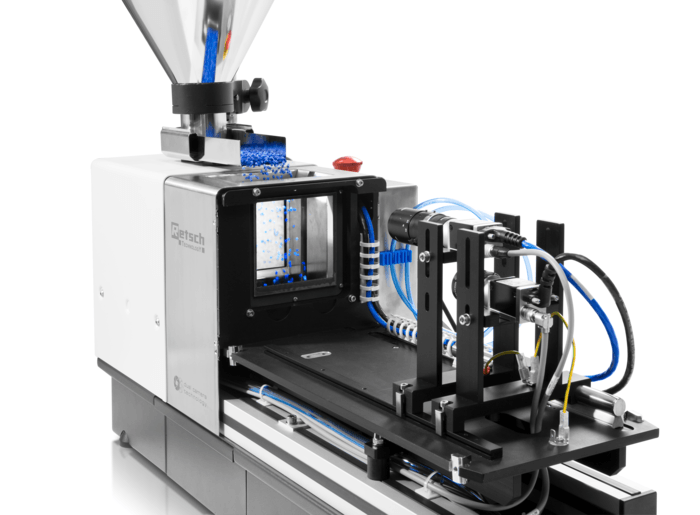 The CAMSIZER P4 is available as an online version for the constant monitoring of critical production processes. The particle analyzer CAMSIZER P4 employs the principle of dynamic image analysis (ISO 13322-2). The sample is transported to the measurement field through a vibratory feeder where the particles drop between two CCD cameras and a planar light source. The projected particle shadows are recorded at a rate of more than 60 images per second and then analyzed. In this manner, almost all single particles in the bulk material flow are recorded and analyzed. It is thus possible to measure a wide range of particles from 20 µm to 30 mm in an extremely accurate manner, without the need for making adjustments or switching measuring ranges. The novel LED strobe light source allows extremely sharp images to be generated and distortion-free determination of the projection areas because of its extremely short exposure times. At the same time, the sharp contrast allows details of the surface structure of the particles to be seen almost like via a microscope. The strobing is not visible to the naked eye since the frequency of the light flashes is extremely high. 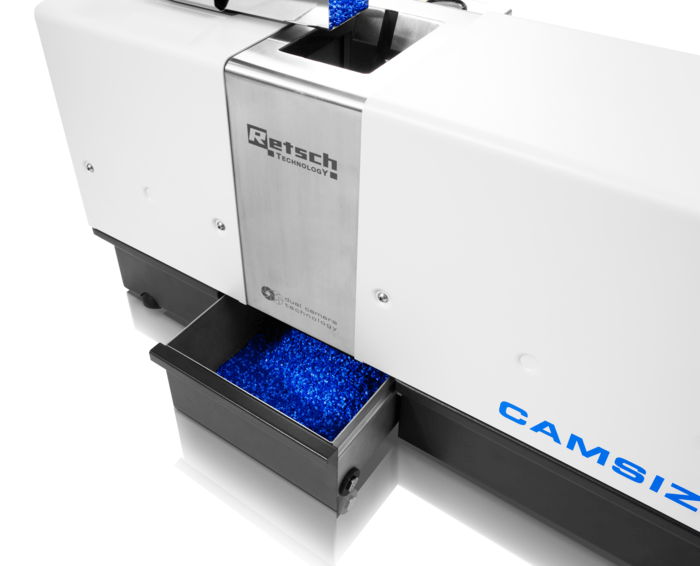 The unique, patented dual-camera system allows the particle analyzer to obtain a great depth of sharpness, and thus maximum precision across the whole measuring range. The zoom camera offers maximum resolution down to the fine range, while the basic camera also records bigger particles and ensures a high statistical certainty in the results. 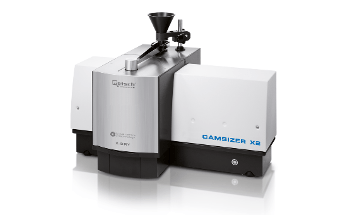 This guarantees exceptional reproducibility of the CAMSIZER measuring results, even if just a relatively small sample amount is available. The results are saved in almost 3,000 size classes.